The song in the video is Peter Gabriel’s “Down to Earth.” You can see the lyrics at the bottom of this post. Expedition 28 to the ISS has begun on 23 May 2011 with the departure of the members of Expedition 27. The first three members of Expedition 28, Russian cosmonauts Andrei Borisenko (commander) and Aleksandr Samokutyayev (flight engineer 1), and the American astronaut Ron Garan (flight engineer 2), arrived on the ISS aboard the Soyuz TMA-21 spacecraft on 4 April 2011, and were joined on 9 June 2011 by the three other crew members, who arrived aboard Soyuz TMA-02M. The expedition saw a number of significant events, including the final Space Shuttle mission, STS-135, which took place in July 2011. Expedition 28 was superseded by Expedition 29 on 16 September 2011. 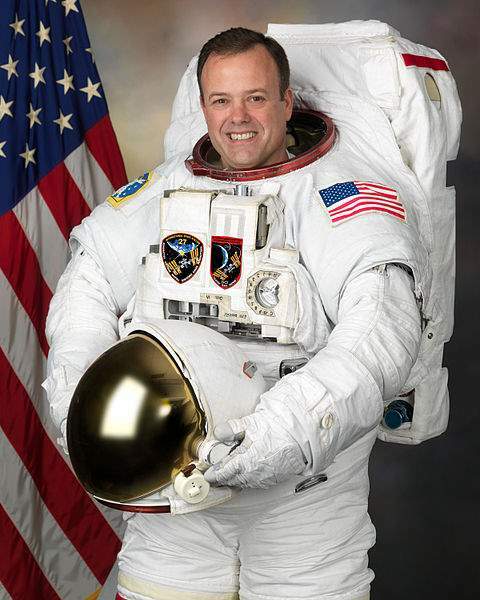 Former NASA astronaut Ronald J. Garan Jr. was born on October 30, 1961. He graduated from State University of New York College at Oneonta in 1982. Then he joined the U.S. Air Force, became an F-16 pilot, and flew combat missions in Desert Shield and Desert Storm. Before becoming an astronaut he was the Operations Officer of the 40th Flight Test Squadron (FTS). He first flew in space as a Mission Specialist on the STS-124 mission to the International Space Station (ISS). He returned to ISS on April 4, 2011, for a six-month stay as a member of Expedition 27. Previous PostWorld Water Day 2019: what’s space got to do with it?Next PostMoon Landings Faked? Filmmaker Says Not!